Read on for more detail how we provide support throughout the year to CFM Cash for Kids. 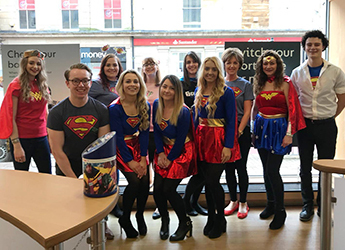 We're proud supporters of CFM Cash for Kids, and take part in Superhero Day and Christmas Jumper Day every year, two of our favourite events in the calendar. The reason why we do take part each year is not only to have a little fun, but to help raise money for CFM Cash for Kids, which helps 1,000s of disabled and disadvantaged children from across our region every year.